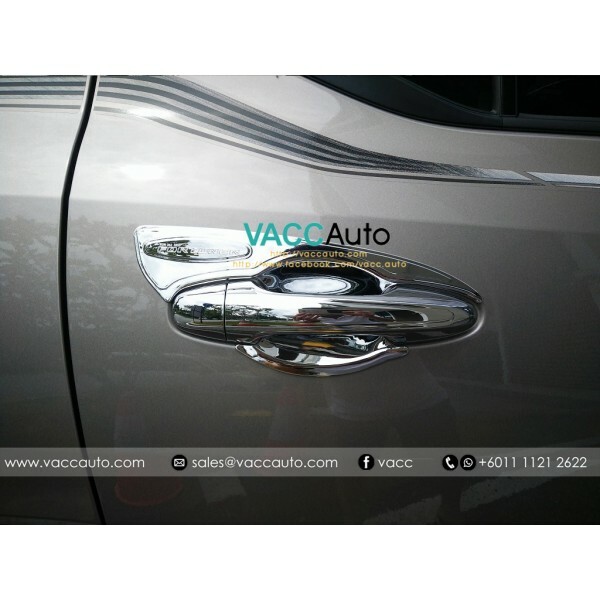 Product Details:Product NameFortuner (2nd Gen) Door Moulding ChromeFor ModelToyota Fortuner (2nd Gen)For Year2016 2017 2018 CurrentFor SpecAll SpecConditionNewBrandVACCTypeAdd-on TypeColorChromeRemark-Package IncludedDoor Moulding Chrome = 1 set.. 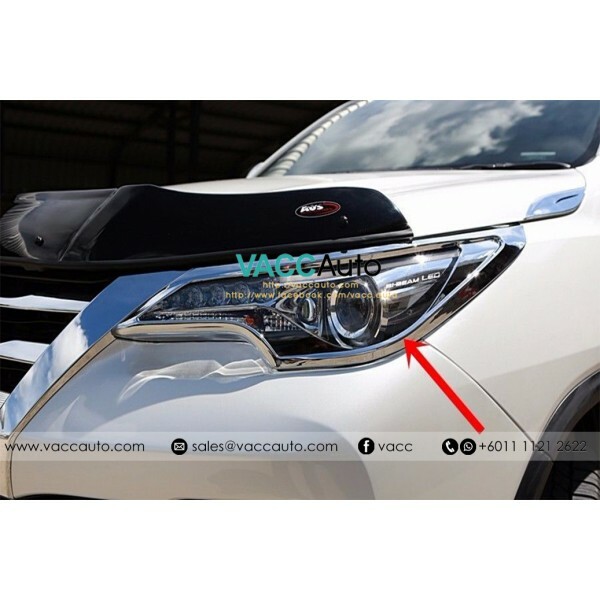 Product Details:Product NameFortuner (2nd Gen) Fog Lamp Chrome CoverFor ModelToyota Fortuner (2nd Gen)For Year2016 2017 2018 CurrentFor SpecAll SpecConditionNewBrandVACCTypeAdd-on TypeColorChromeRemark-Package IncludedFog Lamp Chrome Cover = 2pcs per set.. 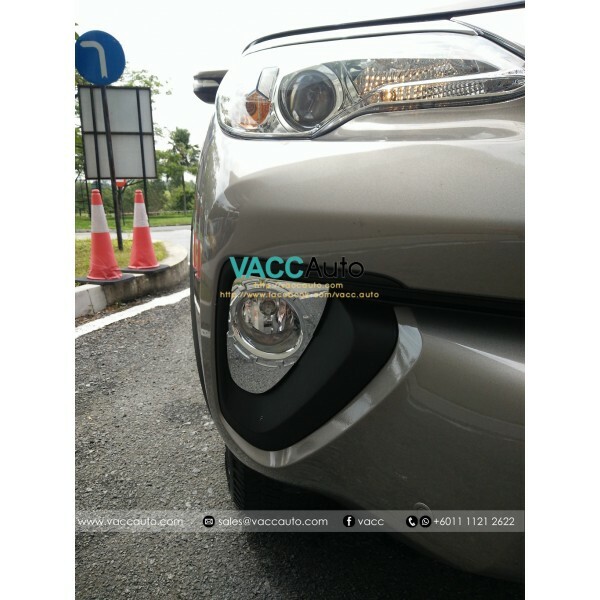 Product Details:Product NameFortuner (2nd Gen) Fog Lamp Chrome Cover with Day Light and Signal LampFor ModelToyota Fortuner (2nd Gen)For Year2016 2017 2018 CurrentFor SpecAll SpecConditionNewBrandOEM VACCTypeReplace TypeColorChrome CoverRemark-Package IncludedFog Lamp Chrome Cover with Day Light and.. 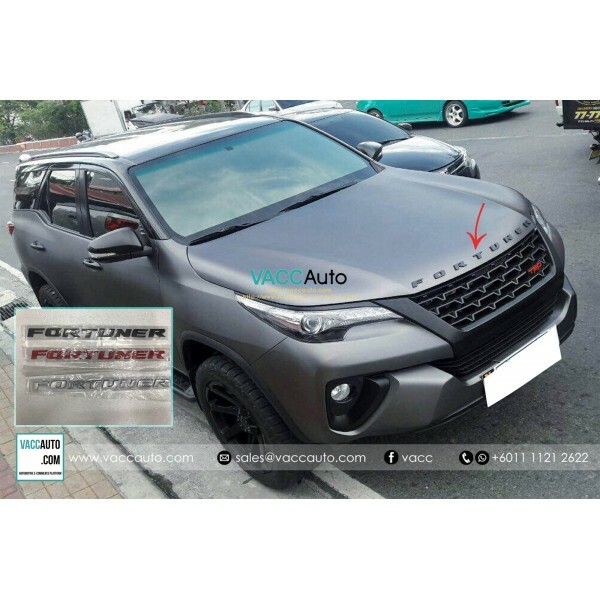 Product Details:Product NameFortuner (2nd Gen) Front Bonnet Chrome BarFor ModelToyota FortunerFor YearAll YearFor SpecAll SpecConditionNewBrandVACC OEMTypeAdd-on TypeColorChromeRemark-Package IncludedFront Bonnet Chrome Bar = 1pc.. 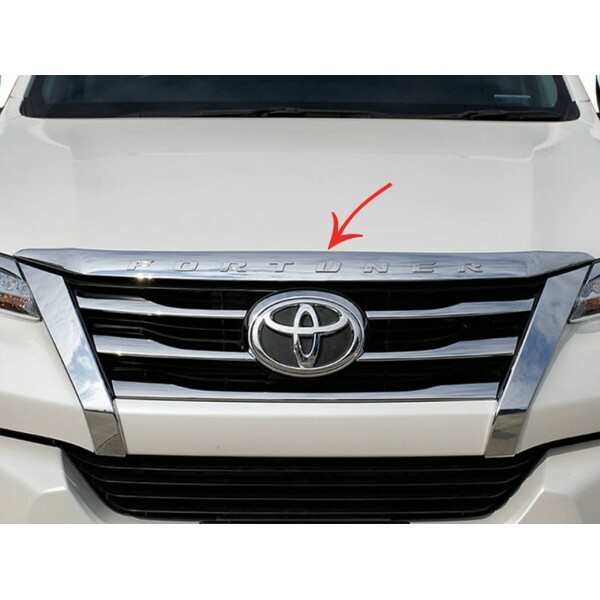 Product Details:Product NameFortuner (2nd Gen) Front Bonnet Emblem For ModelToyota FortunerFor YearAll YearFor SpecAll SpecConditionNewBrandVACC OEMTypeAdd-on TypeColorBlack, Silver or RedRemark-Package IncludedFront Bonnet Emblem = 1 set.. Product Details:Product NameFortuner (2nd Gen) Head Lamp Chrome CoverFor ModelToyota FortunerFor Year2016 2017 2018 - CurrentFor SpecAll SpecConditionNewBrandVACC OEMTypeAdd-on TypeColorChromeRemark-Package IncludedHead Lamp Chrome Cover = 2pcs per set.. 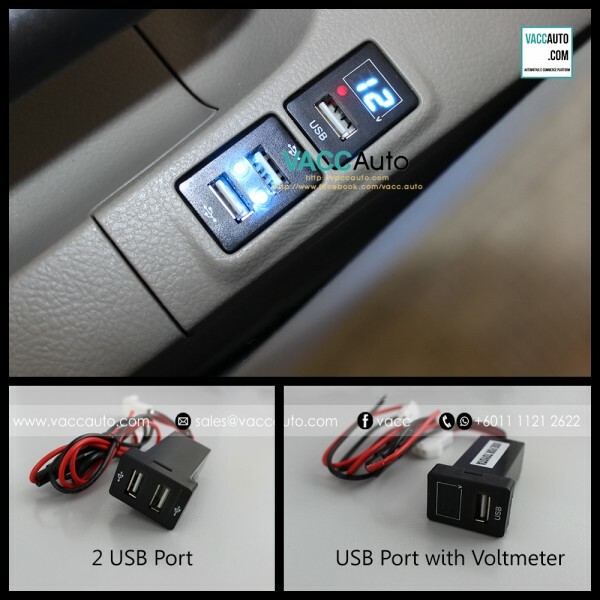 Product Details:Product NameFortuner (2nd Gen) Outer Black HandleFor ModelToyota FortunerFor YearAll YearFor SpecAll SpecConditionNewBrandVACC OEMTypeAdd-on TypeColorBlackRemark-Package IncludedOuter Black Handle = 4pcs per set (4 Doors).. 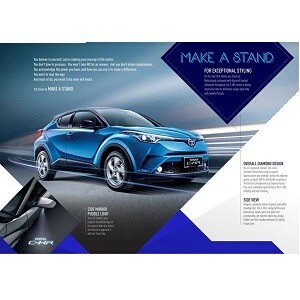 Product Details:Product NameFortuner (2nd Gen) Outer Chrome HandleFor ModelToyota FortunerFor YearAll YearFor SpecAll SpecConditionNewBrandVACC OEMTypeAdd-on TypeColorChromeRemark-Package IncludedOuter Chrome Handle = 4pcs per set (4 Doors)..